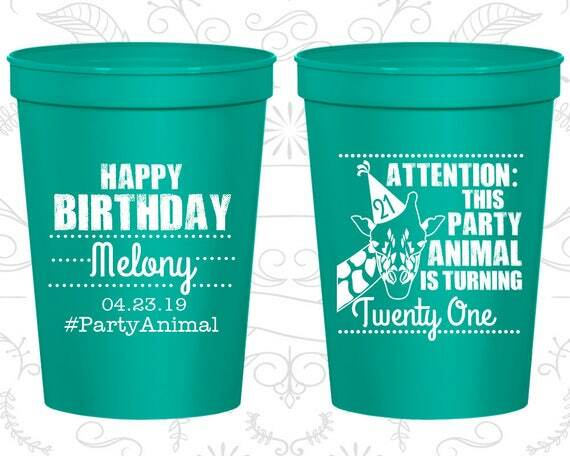 21st Birthday Party Cups, Cheap Birthday Stadium Cups, party animal birthday, Animal Birthday Cups, Birthday Party Cups by My Wedding Store! • Cup must be exposed to light prior to use. • Longer you expose, longer glow will last. • Imprint color may not show in the dark. • They can be used multiple times.